I have one in in a single dark grey color - but in the sky and backlit it takes on a stained glass window effect - very nice. Hi, thanks for posting. This is not the "Transfer XT.R unleaded" or the " T.R. Vented" I presume? This comes with the bag and shipped with it's original shipping box? Thanks Margon for your inquiry .... 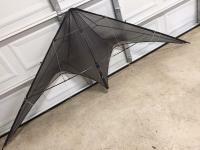 I have the original invoice for this kite and it is listed as the Transfer AT.R. It is not an unleaded or vented. 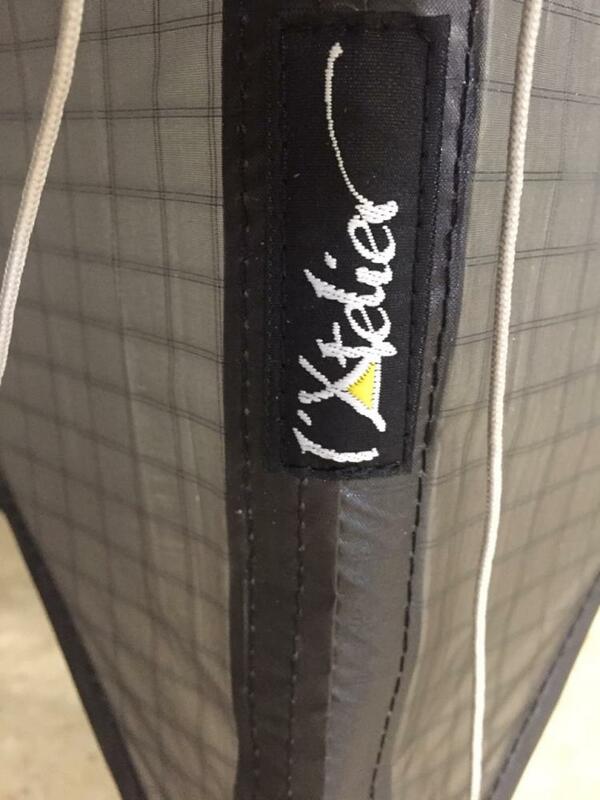 The kite would be shipped with its original bag and a shipping box from a commercial shipper. Thanks again. Thanks rustyk54 for the reply. Still deciding between the Transfer and Widow Maker for a newbie on stunt flying. 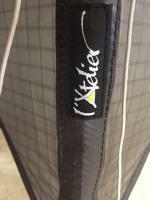 Btw what string did you use on the Transfer? On Monday night, around 6pm, my area had a microburst. Our driveway isn't exactly graded properly, so a ton of water came into the garage. The garage is attached to a workroom and my office in the finished basement. Let's just say I need new carpet, and new paneling. However, in cleaning the workroom, my lovely wife made a discovery. 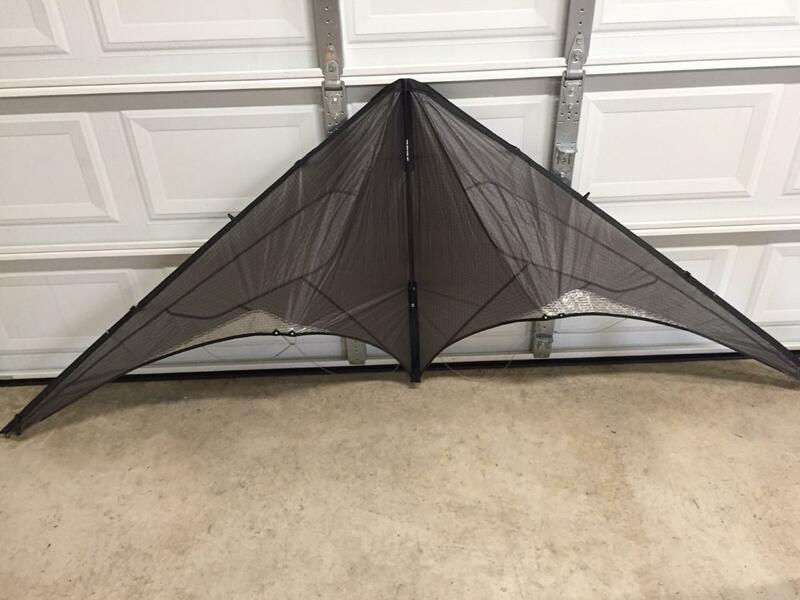 Back in like 1991 or 1992, she bought me a dual line kite (back when all I knew was the term stunt kite). 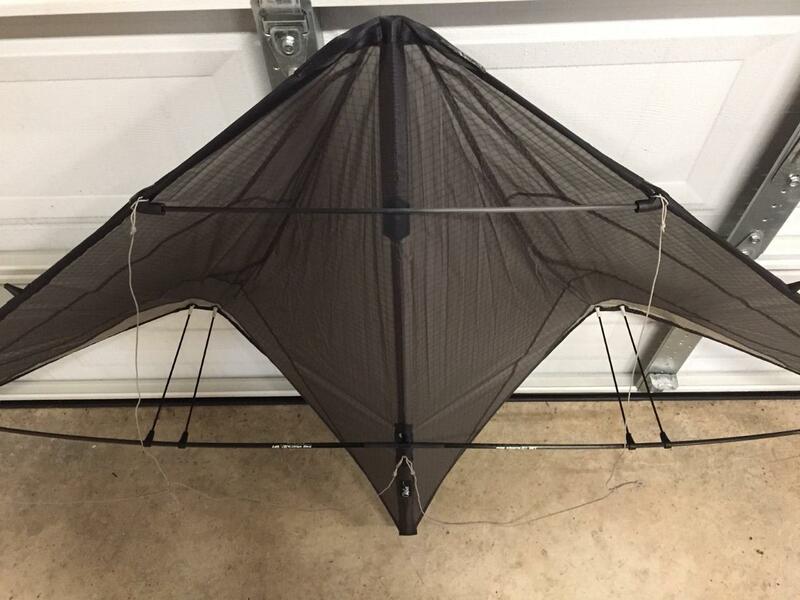 I flew it for a few years, then kind of dropped out of the kite scene because of whatever reasons. I bet you can see where this is going. It's a Griffin III, I think. 8 foot wingspan. I put it together to see it's condition. The sail looks to be in good shape. The struts seemed to be solid, though I didn't actually test it. I think the bridle lines are not in good shape, there was a powdery residue on them. No water got near the bag, so there's no damage from that. I'm excited to get it in the air again. Kite aerial photo of a cute little church of St. Volbenk (Wolfgang of Regensburg) near Zelše, Slovenia. Could st. Volbenk be a patron saint of kite flyers? See the whole KAP session and learn more about the church and the saint on our KAP website! We are two kite aerial photography enthusiasts - Janez and Saša - from Ljubljana, Slovenia. We would like to present you our just-launched, brand new kite aerial photography website! All our adventures, mishaps, discoveries, stories and beauty from the air in one place, with info on KAP equipment, kite types, rigs and cameras, plus tips on how to do KAP science, and some links.